In my post of 12/2/14, intrapsychic conflict and dysfunctional family patterns, I discussed what I believe to be the most important way to integrate three of the major schools of psychotherapy: psychodynamic, cognitive-behavioral, and family systems. To boil it down, conflicts that people experience over what to think and how to behave (intrapsychic conflicts) are triggered and reinforced, on a variable intermittent reinforcement schedule, by family members who are stuck with rules of behavior that are no longer adaptive because of changes in the ambient culture. In a sense, the whole family shares the intrapsychic conflict. The family members in this situation give one another mixed or contradictory double messages about what behavior they expect from one another. 1. Keeping their conflicted feelings, beliefs and motivations unclear to other people. 2. Keeping those things unclear to even themselves to avoid anxiety. Linguists tell us that any sentence in any language can be interpreted at two different levels - which may then conflict. One level is the purely lexical or object level, that is, what the specific words actually mean. The other level is the meta level. This level concerns the relationship of the two conversants in which any statement is made. The context provided by the entire history of the relationship between the two conversants alters the meanings of the sentences. If I say to a friend "I love ice cream" as we pass an ice cream parlor, I may not merely be conveying a message about my preferences in dairy products. I might also be suggesting, for example, that we stop and have an ice cream. The indirect nature of the request may, for example, indicate that I lack the power in the relationship to just demand that my friend go into the parlor with me. The power differential is part and parcel of the nature of the relationship between the two people. Whenever two people who have formed a relationship have a conversation, any statement made may refer to either the object or the meta level. The two levels may seem to be in harmony or they may contradict each other. Another way of looking at this phenomenon is that all statements may refer either to the feelings, thoughts, and intentions of the individual apart from the relationship context, or to the feelings, thoughts, and intentions within the relationship context. When the listener does not know which of these descriptions best applies to a given statement, an ambiguity is created about the motives of the person making the statement. The statement, "I love ice cream," is an example of a statement in which the object and meta levels would not be contradictory in most social situations. It is totally consistent for me to both like ice cream no matter who I am with or even if I am alone and for me to want my friend to accompany me to an ice cream parlor right now. If, on the other hand, I make this statement as we pass an ice cream parlor while implying that I would rather be somewhere else, then the motivation behind my statement becomes ambiguous. And confusing. 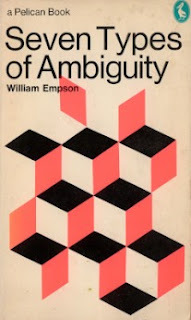 Individuals will invariably react to such ambiguity, but they do not tend to think of the communication as ambiguous. For instance, if a widowed mother says to her son, "You don't care about me; you never want to come when I desperately need you," it is natural for him to assume that his mother wants him to change his behavior. He believes that she wants him to gladly come over whenever he is needed. It seems that he will continue to believe this, even if the requests for help are made with impossible frequency at times clearly inconvenient for him and without a shred of gratitude on his mother's part when he complies. He may continue to believe this, in fact, even if criticized every time he complies with his mother's request. The son in this situation is in a rather strange bind. He is being criticized by his mother for attempting to please her. To add insult to injury, her requests are almost impossible to follow without a complete disregard for his own needs. Interestingly, most people in such a predicament do not come to the conclusion that the mother may not, in fact, really want the help she asks for, or, alternately, that she does not even know whether she wants it or not. The idea of an intrapsychic conflict being the cause of such behavior is not generally considered, even though it is the most common cause. The idea that the mother is knowingly pushing the helper away for some ulterior motive is one that just does not appear to most people to make any sense. However, this is precisely what is happening. This is the "net effect" for which the behavior was designed. The ambiguity is Mom's motivation in this case suggests the possibility that his mother has a conflict within herself over her dependency needs. Perhaps she is not happy being looked after by her son, but might believe, for example, that being independent is not proper for a woman. No matter how the son behaves in regard to the issue, she becomes displeased. because his actions interfere with either her true desires for independence or the rules required by her gender role. He is in a "no-win" situation. However, her displeasure does not result directly from the son's behavior, but from her own internal conflicts. With this in mind, let us look at the ambiguity of the "you don't care about me" part of her statement. It may refer not to the son's lack of concern for his mother per se, but to the motives behind his helping behavior. It could mean that she believes that the son's behavior is based on his own selfish wish to look after and dominate her, rather than on her desire to be looked after by him. He could be helping her because he likes being a kingpin, for instance - not because he cares about her. Within the context of dysfunctional family relationships, it is often true that consideration of the seemingly less likely interpretation of a statement reveals the truth as to what is really going on! In the next post, we will look in more detail about the semantics of intrapsychic conflict.